You asked; we responded: What happened to those popular half day charters? The Good Day of Fishing is back, for a minimum of 2 guests, starting on Wednesdays in May, then available any day of the season* from May 23. 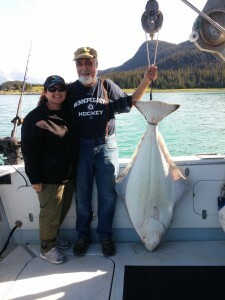 At $199 per person, the only thing better than a Good Day of Fishing is a Great Day of Fishing. Please complete the contact form after clicking BOOK NOW when you select GOOD DAY OF FISHING (1/2 Day/AM) from the top of our 2019 Adventures list.